More and more we are getting calls after a motor vehicle accident because the insurance company is giving our clients a hard time about resolving property damage claims, paying medical bills, and paying for lost earnings. It should be simple, but they seem to be cutting costs by pressuring their customers to take less than they are entitled to under their own insurance policies. Over the past 26 years, I’ve read and studied more insurance policies than I’d like to admit, and I can quickly tell the difference between a strong policy and a weak one. I’d like to talk about insurance policies today not because I’m selling insurance, but because the type of policy you have will make a huge difference on what we will be able to do for you in case you have an accident or are injured. Take a few moments to learn about your insurance and please feel free to contact me with any questions you might have. Compulsory Insurance: Insurance that the law in Massachusetts requires. The minimum bodily injury insurance in Massachusetts in the amount of $20,000 per person per accident and $40,000 per accident. This is for bodily injuries or death to persons caused by you, or a driver you allowed to use your vehicle. Many of our cases involve injuries as a result of rear end accidents. In those cases, the insurance company for the other vehicle generally activates this portion of the coverage and will pay for pain and suffering up to the policy amount. PIP insurance or “no fault” insurance covers up to $8,000 for personal injuries and 75% of lost wages for each person involved in an insured vehicle. PIP insurance will also cover you if you are injured in or by another vehicle that does not have PIP. This includes pedestrians but excludes motorcycles and folks under the influence who caused an accident. Even if you are at fault, or if you don’t have a case for pain and suffering, you can collect monies under this portion of the insurance policy for ambulance bills, hospital bills, physician bills and chiropractor bills. Uninsured coverage includes hit and run accidents, accidents caused by a vehicle that has no insurance. The minimum uninsured insurance coverage is $20,000 per person per accident and $40,000 per accident. Yes, despite stringent regulation in Massachusetts, some drivers out there are on the road without insurance. It could be because they let the policy lapse, or they are unlicensed drivers in a stolen car. In those instances you are insured by your own Massachusetts policy! Property insurance is for damage to other vehicles or property along the roadway that is damaged as a result of a collision with your vehicle. There are multiple exclusions to this coverage. Cars are expensive and if you are at fault, you want sufficient coverage here. Furthermore, have you ever seen a mangled guardrail on the side of the highway at an accident scene? That needs to be replaced and paid for and they are not cheap. We recommend $50,000 at a minimum for this coverage. Optional Insurance: These are coverage options not required by law, but see our notes below on highly recommended parts of optional insurance. This type of insurance is, in our opinion, critical to purchase. If you or someone driving your vehicle is negligent and cause san injury or death, this is the insurance that will protect you. It will require the insurance company to engage an attorney, investigate, defend you, and pay up to the policy limits, between the $20,000/$40,000 which is required per the above, and up $250,000 per person per accident and $500,000 per accident. I’ll tell you why. When a client of ours has serious injuries and the negligent driver has insufficient insurance, I always do an asset check. In many, many, instances, we have forced defendants to refinance their homes or pay substantial monies out of their pockets because they were insufficiently insured. Don’t let this happen to you. Get ample insurance and let the professionals, the insurance companies and their insurance trial lawyers, work out the best result – without involving your assets. We recommend amounts as a function of your income and assets. Call us for a free consultation regarding insurance coverage. Insurance companies are required to offer a minimum of $5,000 in medical payment insurance, which is added to the PIP for coverage of no fault medical and lost earnings insurance. This can be especially helpful for folks with high deductibles on their health insurance, folks who have no health insurance, and folks who lose significant wages as a result of a motor vehicle accident. This type of insurance is great when your own health care provider will not pay for procedures such as chiropractic or physical therapy. This insurance coverage is for damage to your vehicle in the event of a collision. Usually there is a deductible amount which your insurance company will not pay, but which may be covered by another company if the driver of another vehicle was at fault. Sometimes clients call us over and over asking what can be done to get their car fixed. If the other party is at fault, but their insurance company questions their fault, they just won’t pay to get your car fixed. If the other party is a government agency, good luck! It’s better to have your own insurance for your own car. This is a less expensive cousin of Collision, and covers property damages of other vehicles only if you, or your insured driver, is less than 50% at fault. This insurance covers the lost value of your vehicle when there is damage other than a collision such as theft, damage from nature (a tree falls on it) fire, etc. This coverage also includes property damage to other motor vehicles beyond the minimum above. This covers a rental car while your vehicle is being repaired or replaced. If the other party is at fault, they are not always going to pay for your rental car. Not quickly, anyway. If you need a car at all times, this coverage is not expensive and likely necessary. Insurance for towing from an accident scene, or to a repair shop as a result of a loss, or for labor to restart your vehicle. Part Twelve: Bodily Injury Caused by an Underinsured Vehicle (highly recommended) Underinsured Bodily Injury coverage is perhaps the most critical optional insurance. “Underinsurance” means that you are insuring yourself, and your passengers, and your household members if you, or they, are injured by someone who has insufficient insurance. Thus, if you are seriously injured as a result of the negligence of another driver, and they only have the minimum $20,000 policy without optional underinsured coverage, you will be limited to $20,000 (plus PIP) for your pain, suffering, lost earnings, medical bills, etc. 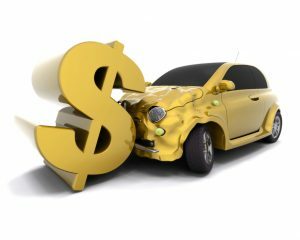 If you buy the insurance, up to $250,000/$500,000, you merely subtract the amount of coverage that the at fault vehicle has from your coverage, and you are covered up to that amount. We can’t emphasize this enough because far too many vehicles, including all of Boston’s taxi cabs, have the minimum coverage. We recommend buying as much underinsurance coverage as you can afford. For examples, see the Massachusetts Underinsurance section of our website. Insurance sales people may very well be experts in their field. But they never represent people who buy the insurance in a personal injury lawsuit. They never spend years with the victim of a motor vehicle collision trying to get the insurance company to pay what is rightfully owed to the victim. An experienced personal injury trial attorney has the training to see exactly what the weakness is. Protecting assets is one thing; having sufficient insurance, including underinsurance is another, and more complicated attribute of insurance that is not well understood. We encourage all of our clients to call for a free consultation on how much injury insurance to buy: call us any day at 617-227-7423.